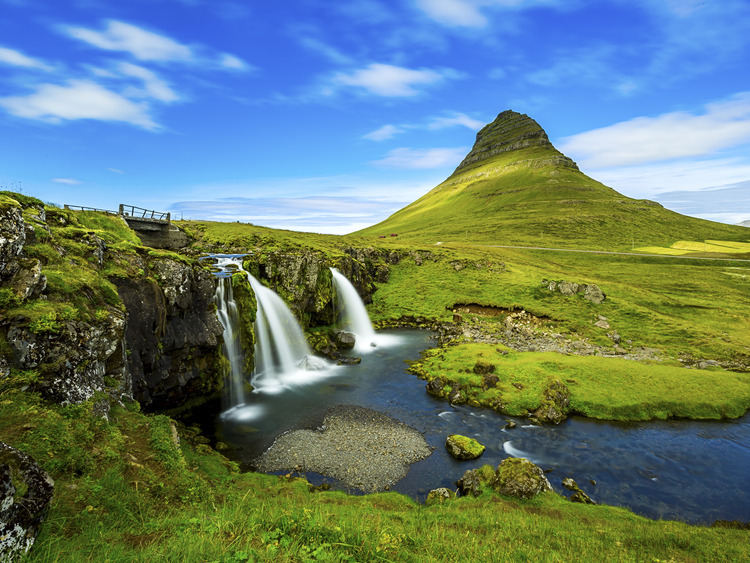 This tour offers a walking tour to a local treasure in Grundarfjörður, the beautiful waterfalls near the towering Kirkjufell Mountain. The town of Grundarfjörður is one of the oldest settlements in Iceland. During the Age of Settlement it was an important trading post. Remains for a variety of time periods have been discovered there during archaeological excavations. Its importance grew over the centuries and the town became of the first six official trading centres in the 15th century. During this enjoyable walk we'll walk from the pier up a hill to a viewpoint overlooking the town and its fjord. If weather allows, we'll get excellent views from the hillside. From there we'll continue walking past the local horse stables and towards the magnificent Kirkjufell Mountain which is considered by many to be one of the most breathtaking mountains in the world. Our destination is the waterfalls that will provide a foreground to the mountain. Here we will get plenty of photo opportunities before we return back to the pier.